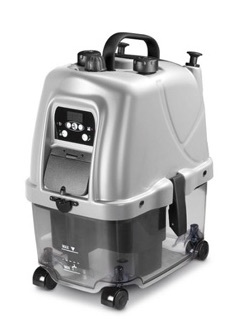 A Steamworks® 3000 series machine is a new appliance that uses a little water and a little electricity to sanitise, clean and deodorise virtually any surface – without the use of chemicals. Using tap water, this multipurpose appliance creates a low moisture steam that carries heat to the surface you wish to treat. The steam pressure combined with heat and a light movement does the work for you. This appliance comes with a variety of accessories creating a system that can be used on an unlimited number of applications. The process eliminates chemical residues while sanitising the surface being treated. The Steamworks® 3000 series machine is quiet and portable, allowing for use anytime and anywhere. The Steamworks® 3000 series machine, produces a high temperature, low moisture steam. Over the past few years, you have been exposed to products being promoted as “steam cleaners” that in fact use no steam at all. These “steam machines” spray large amounts of water using quantities described in “litres per minute”. You may ask, “Where’s the steam?” The Steamworks® 3000 series by contrast, is equipped to safely produce “dry” steam continuously, without interrupting the work you are doing. This significant difference relates directly to the versatility and capabilities of the Steamworks® 3000 series machine. It is unlike anything you have used before. It is mess free with temperatures hot enough to kill bacteria and germs, emulsify grease and oil as well as other surface contaminates. The system is practical for any surface with the exception of those surfaces that are extremely heat sensitive. The system has additional uses besides sanitation. Defrosting freezers, thawing frozen pipes are an example of the non-cleaning applications. The use of Steamworks® 3000 series machine in general contributes directly to better indoor air quality by reducing chemical residues and removing airborne particles. Where does the chemical go? Nowhere! The appliance only uses clean, clear water. No chemical is needed when using this system. The water is poured into a special non pressurised tank, it flows into the boiler that super heats and changes it into a hot “dry” steam cloud. 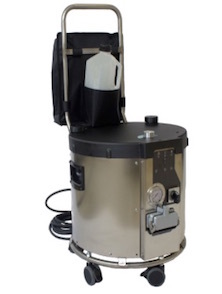 The unique benefit of the Steamworks® 3000 series machine is that it produces a low moisture, high temperature steam and allow you to add water in the tank at any time without any risks. We like to call this a “dry” steam because so little water is left behind and so little is used. This patented system gives us the proven power of heat and steam to safely sanitise and clean while reducing chemical use. This reduces the time and effort required for many tasks. Our existing cleaning regime consists of applying a chemical or abrasive cleaner, then wiping or scrubbing the surface until the contaminant appears to be removed. This method requires much physical effort, often degrades the surface and exposes our lungs to toxic fumes. The Steamworks® 3000 series machines, combine heat with very fine water particles that penetrate even the pores – whatever the surface. 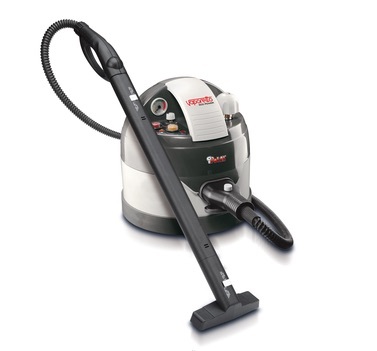 This proven process thoroughly removes contaminants and leaves the surface free of residual chemicals. Visually superior results are achieved with less effort and no exposure to harmful chemical effects. The Steamworks® 3000 series machines also allows you to sanitise and deodorise areas that are impossible to treat mechanically or chemically. It’s easier and does a better job in less time. Depending on the application, the dirt loosened by the Steamworks® 3000 series machines is simultaneously absorbed in a terry cloth bonnet, vacuumed up, or rinsed and wiped away using an absorbent cloth. I have terrible allergies to common house hold pest like dust mites. How can this system help me? The Steamworks® 3000 series machine, unlike other cleaning or pest control methods, uses heat to do the work, not chemicals or poisons. Let’s consider the dust mites: The Steamworks® 3000 series machine provides you with a method of penetrating all of these surfaces thoroughly with a temperature of 160°C. Five seconds are enough and the heat kills the mites without over wetting the surfaces reaching into the pores and pockets of fabric, bedding and carpets. The articles treated are completely dry in a matter of minutes. No chemical detergents here to affect your indoor air quality. Because this system uses only water, you are not introducing anything into your environment that has new chemicals or new odours which may affect your well being. Using the Steamworks® 3000 series machine, will actually remove chemical residues left behind from previous cleaning procedures, as well as removing odours, from garments and other fabrics. In addition, using the Steamworks® 3000 Series provides you with a means to sanitise many critical surfaces which are important to your health (as carpets, mattresses etc.) without using bad smelling toxic germicides. The continuous flow function means that the steamer is fitted with a separate tank for water reloading, not under pressure, which automatically feeds the boiler, thereby guaranteeing unlimited autonomy. 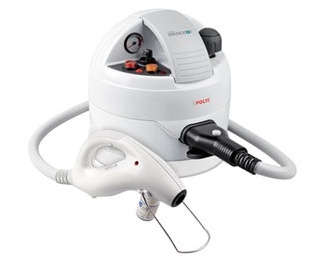 It enables you to fill the steam cleaner with water without shutting it down and waiting for the boiler to cool. When you run out of water, simply open the reservoir and fill with water. Yes they are. Many of the systems are being used in hospitals, retirement care facilities, the food service industry, hospitality industry, and government institutions such as schools and universities. The use of this method improves indoor air quality, reduces the physical effort involved with cleaning and provides a more thorough approach to cleaning. Because the use of chemicals is reduced and because water does not involve the regulatory requirements that many cleaning chemicals require, the method requires less management time and reduces paperwork. We are happy to come and demonstrate the capability of our Steamworks® 3000 series machines to you, just call 64 4 4794143 or email sales@steamworks.co.nz.